Our specialist mould control products include paints which form an active anti-fungal barrier using potent ingredients, making them ideal for preventing and controlling mould - as well as providing a high quality matte finish. 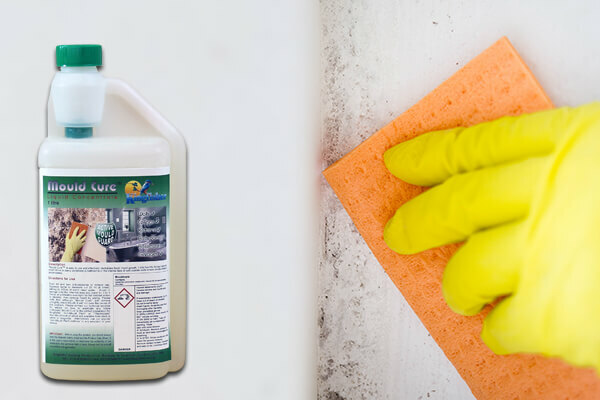 We also manufacture our own cleaning and mould removal products which use fungicidal ingredients to successfully treat existing mould and fungus issues, removing the mould and preventing future recurrence. This paint is also compatible with conventional emulsion. Unsightly black mould growth is a common problem in many homes but Kingfisher Mould Cure wipes out black mould in one easy application. Make your own fungicidal Anti Mould Paint with our outstanding paint additive for emulsion. Simply add our super concentrated "Anti Mould Paint Additive" to any emulsion paint. If your wall is suffering from unsightly black spot mould growth, our Anti Mould Paint is the answer.